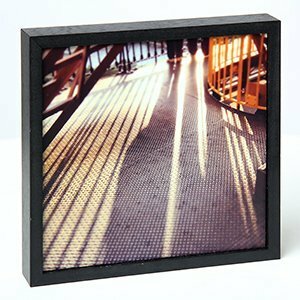 The Metro Block consists of a flat mounted archival print and black frame. The print is cold laminated in a matt coat and enclosed in a bold black frame with a fine wood grain texture. The Metro Block is primarily a wall hanging product which can stand due to its thick frame.